Holiday Home Ownership is enjoyed by thousands of people throughout North Wales. Whether your choice of holiday home ownership is a mobile caravan, static caravan, holiday lodge or holiday home all these types of accommodation choices can be enjoyed in the numerous caravan & holiday parks as well as tourist and remote towns and villages throughout Beautiful North Wales. Owning your own North Wales holiday home means you can enjoy a great new lifestyle, holiday whenever you like, and also bring you a second income if you wish. You can choose to go away for the weekend or for the whole season if you wish, and simply come and go as you please. If you enjoy a holiday that brings a lot of flexibility then a mobile caravan could be just what you are looking for. There are always a wide range of Caravans for Sale in North Wales, whether you are looking for a two berth, four berth or bigger, new or second hand you can be rest assured that you will find what you are looking for and one that meets your budget. For those that like a bit more familiarity or have recently found the ideal holiday park / caravan site with all they could ever want, then a static caravan could possibly be the perfect choice. There is many Static Caravans for Sale throughout North Wales brand new or second hand. These can be brought from show homes or onsite. If your preference is a Holiday Lodge / Log Cabin then what better place to own one than North Wales. A holiday lodge gives you the perfect opportunity to relax and unwind and escape the pressures of modern life. 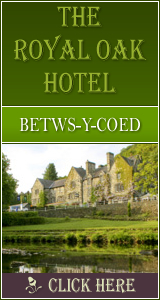 There are numerous Luxury Lodges for Sales in and around North Wales to suit individual tastes and budgets.